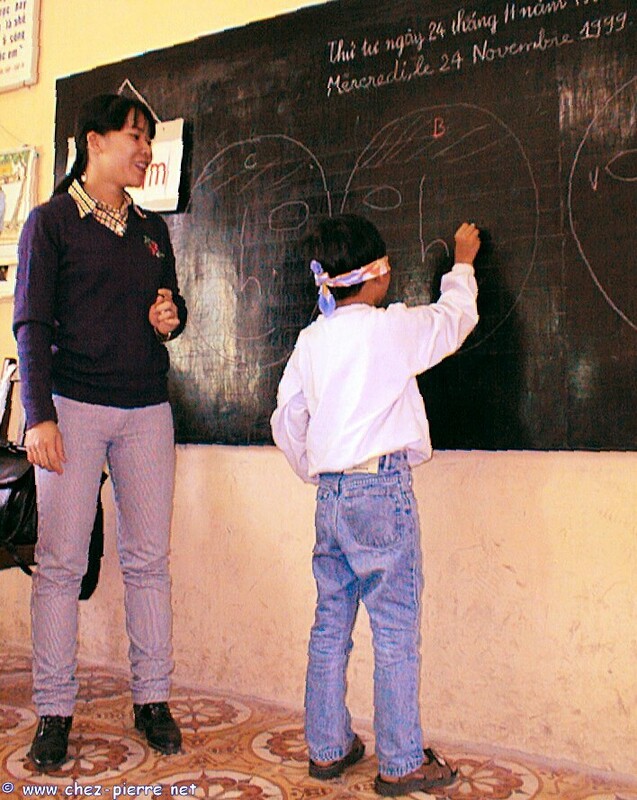 One student names a face part, the one at the board checks it on. 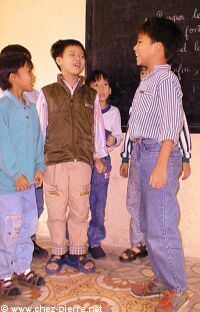 (little end of lesson team game). Let's do some with Miss Lan ! 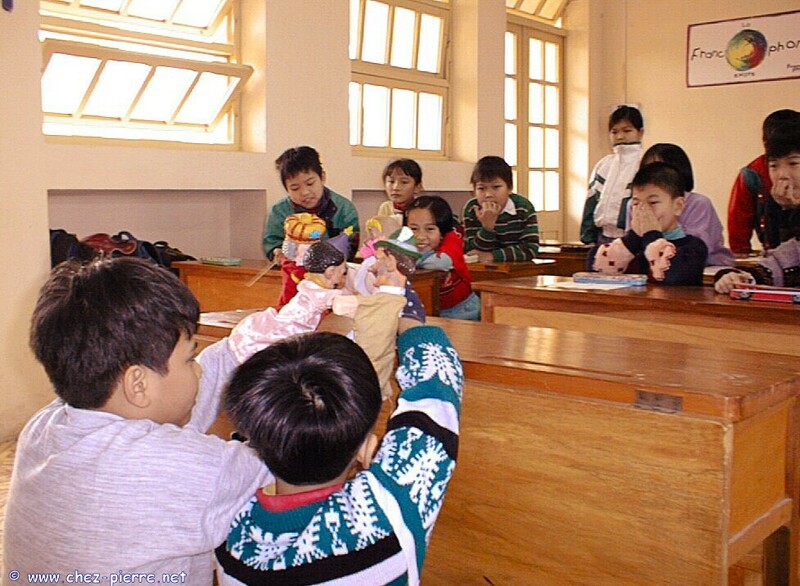 Third grade in Trung Vuong... Who will wake up this lazy Sun ? 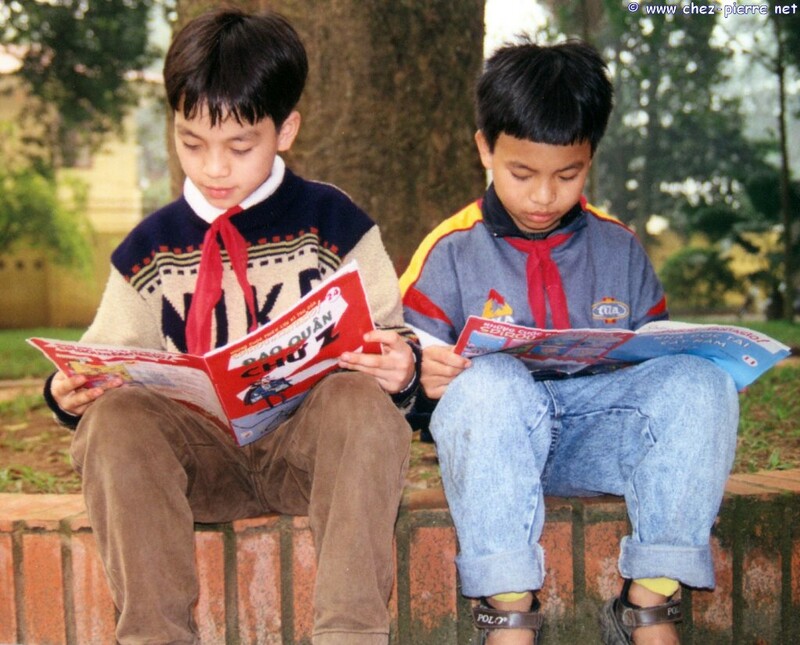 Spirou & Fantasio in Vietnamese ! 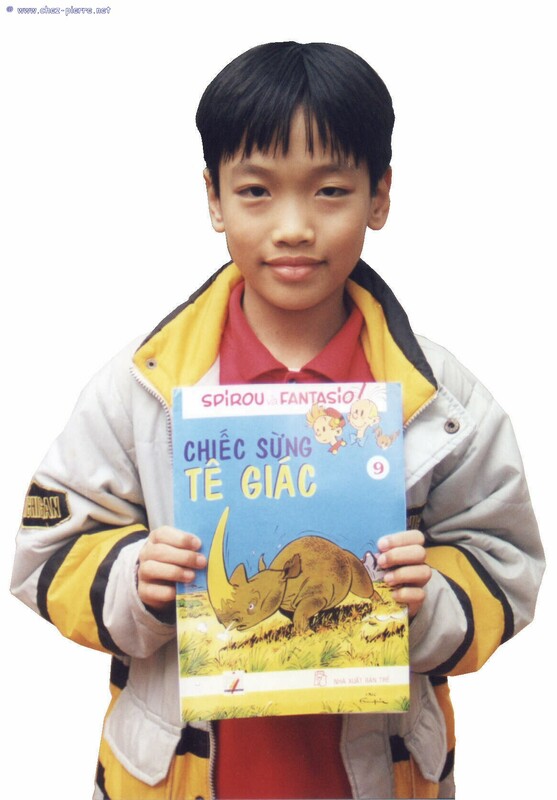 Huy, 4th grader in Nguyen Tri Phuong, is happy to have won one of these at the French-speaking World celebration ! 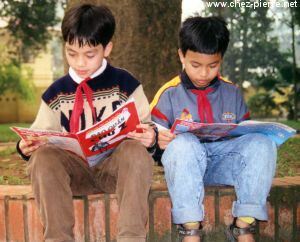 It's thanks to the CGRI (Belgium) that we now can find Spirou, but also the adventures of Tintin and numerous other heroes translated in Vietnamese. That's not all : they are printed locally, and the price adapted to the country : less than 1 dollar per book (to be compared with more than 10 dollars in Europe) ! 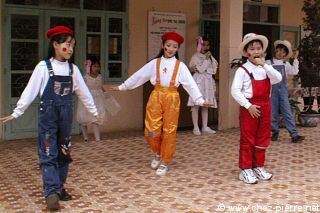 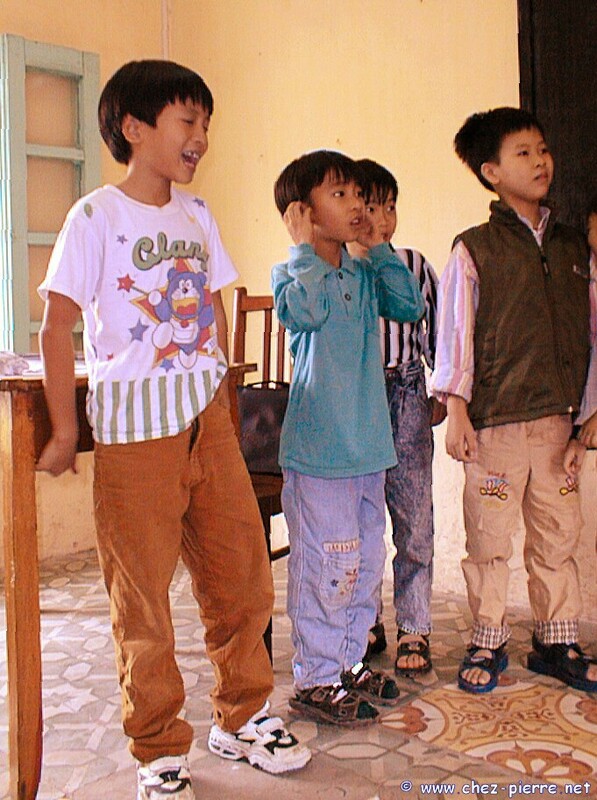 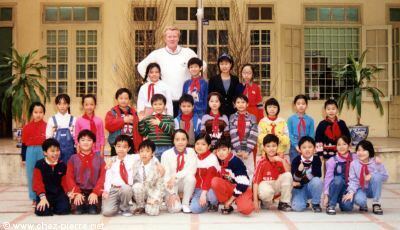 One of our best 4th grade class : Nguyen Tri Phuong school.